Bonnie Torrez is a new fourth-grade teacher this year at Central Elementary School. She and her family are all from Artesia. Her son, Matthew, is recently out of the Marines, and her daughter, Samantha, is currently attending Lubbock Christian University. 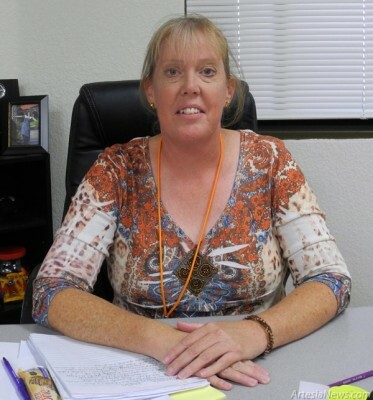 Torrez received her master’s degree in English literature from Eastern New Mexico University and decided to go into the teaching field after working as a substitute teacher. She taught middle school English classes in Lake Arthur for 10 years. This is her first year working as a teacher in Artesia. … For the rest of the story, subscribe in print and on the web.